The Difference Between Trading and Investing — Tela Holcomb | The stock market in plain English. I'm finding that many people think trading and investing mean the same thing. I bought a stock and after a couple weeks (or a month) it wasn't really “doing” anything so I sold it and bought a different stock. After a few more weeks, that stock went up a little so I sold it and bought a different stock. I just haven’t been able to make a lot of money. That, my friend, isn't investing. That's trading. 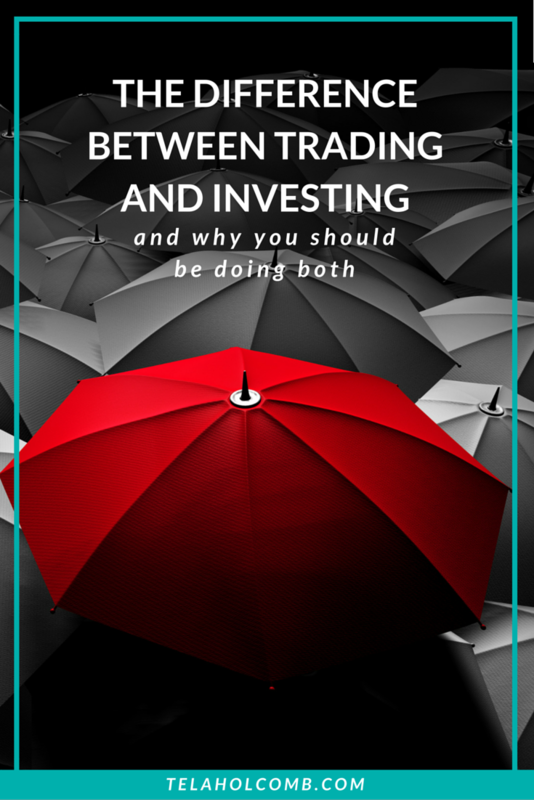 Today, I’m going to explain the difference between trading and investing and why you should be doing both to be successful at building a financial legacy through the stock market. Trading the stock market is when you buy and sell stock frequently over a short period of time with the intention of making a profit. This can be a few minutes to a few days or a few days to a few weeks. When trading, you should always know when you're going to sell a stock before you even buy it. This is called a trading plan. There are several types of traders. The type of trader you are is determined by how long you keep the stock. Investing in a stock is when you buy a stock and keep it for a period of years to decades. When you invest, you need to look at it as buying ownership in a specific company. You are investing in their ability to stay competitive and profitable over a long period of time. 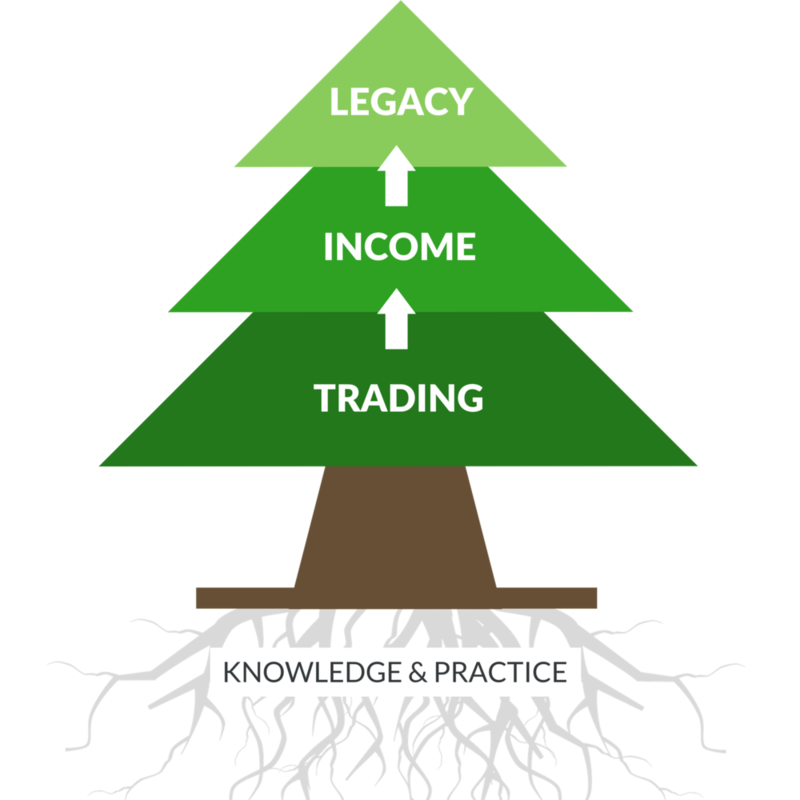 In order to be successful at building a financial legacy through the stock market, you need to have a system that builds and supports itself. A system where you make your money work for you. Making a fortune in the stock market from one trade or investment is about as common as winning the lottery. I’m not saying it’s impossible. It’s just not likely and those that have been able to make a fortune on one trade or investment are the exception. Not the rule. In my system of trading and investing (which I teach in Trade Your 9 to 5), I use one account for trading, one for income, and another for investing. By using a system like this, you allow one account to build the other, minimize risk and build wealth. Your trading account is where you take advantage of the short term movements in the market. This account is considered your money maker. This is where you put your money to work in order to generate more money for investing (making your money work for you!). When trading, your mentality should always be to buy with the intention of selling. If the stock isn’t doing what you expected it to do, get rid of it. Never turn a trade into an investment by holding on to it longer than you planned and never try to get rich off one trade. Your income account is where you trade conservatively. With the right trading technique and enough capital, you can produce a monthly income and become independent of a 9 to 5. Your legacy account, or investment account, is where you build ownership in well run companies over time. You will move some of the profits from your trading account (remember it's your money maker) over to your legacy account to buy more shares of those well run companies. When you invest, your intentions should always be to buy and never sell. For me, the investment account is where I build wealth that will stay within my family. I look at it like I will own the company some day! So, which have you been doing? Trading or investing? Let's talk about it in the comments!